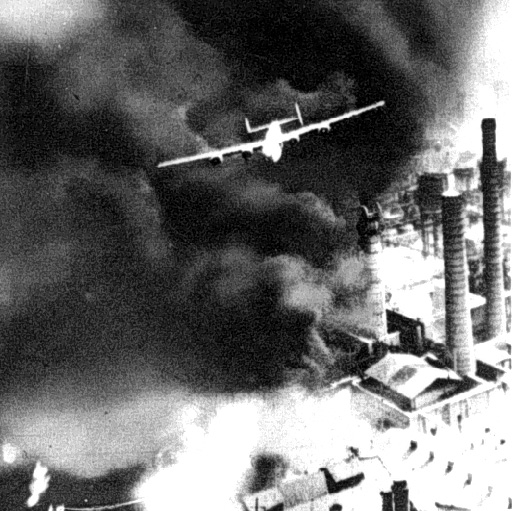 On Sunday, August 1, 1943 the Ninth Air Force attempted one of the most daring air raids of WWII, against the oil refineries at Ploesti, Romania. 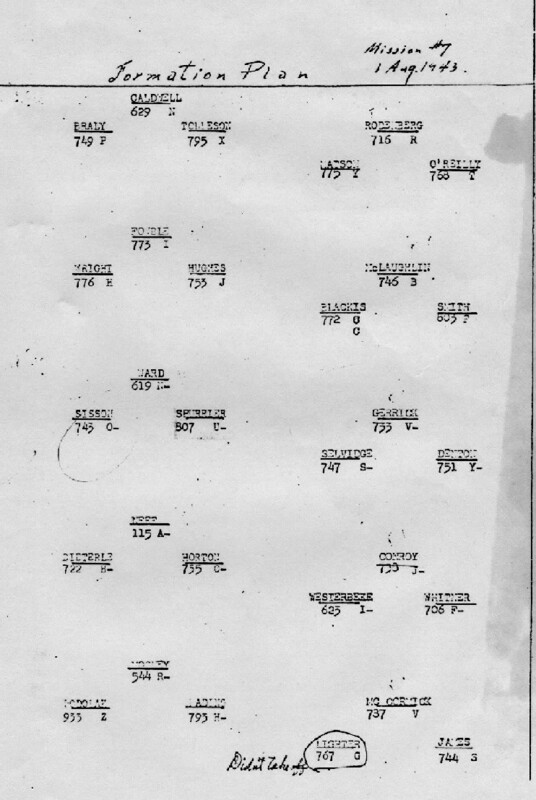 The raiding force was composed of 179 B-24D Liberator bombers from the 44th, 93rd, 98th, 376th, & 389th Heavy Bomb Groups. The B-24D Liberator was a four-engine strategic bomber designed to knock out industrial targets from 25,000 feet using the modern Norden bombsight. For the Ploesti mission, however, it was decided to risk these lumbering giants and their crews on a surprise low-level attack from an altitude of only 200 feet. 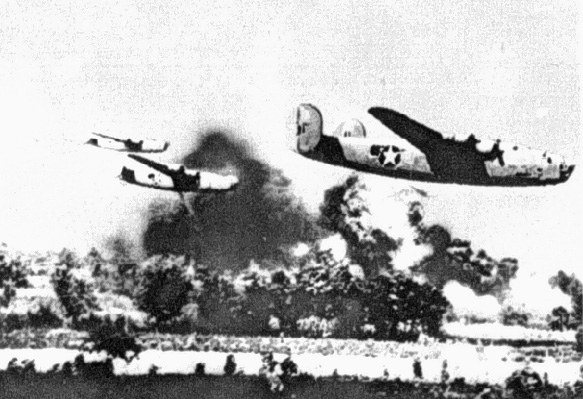 Due to spies and enemy radar, the Germans were not surprised, and the enemy defenses were ready and waiting for the Liberators when they made their bombing runs. Enemy fighters pursued the force back to the Mediterranean, but it was the incredible number of small caliber AA guns that did most of the damage. 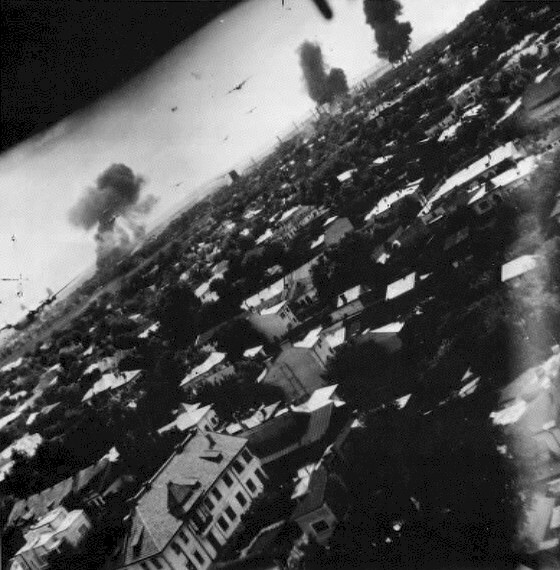 Fifty-five aircraft were lost, over 300 aircrew were killed, and about 130 aircrew were captured on that fateful day.